Trojan:JS/Seedabutor.C is the latest incarnation of the Seedabutor virus, which originated in Russia several years ago. This malicious Java code gets onto your computer, assumes control of it and then allows other, arbitrary malware to execute. It’s equally effective at targeting both Windows 32 and 64-bit systems. To make matters worse, many of the leading anti-virus and anti-malware programs fail to remove Seedabutor completely once it has its teeth into your system. 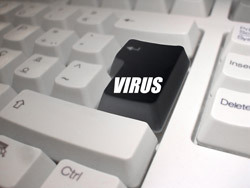 The virus uses various advanced techniques to hide itself and may even disable anti-virus software. Once the Seedabutor virus has infected your computer, it adds extra malware and adware to the system. It hides deep in the system and performs background downloading without your consent or knowledge. sending your confidential information to a third party, who may hijack your system or use the information for other criminal purposes. You may also “contract” the Seedabutor virus from an infected e-mail attachment or be tricked into downloading it as part of what you think is a useful piece of software or a software update. Certain anti-virus software and can assist you in protecting your valuable systems and business data from viruses like Trojan:JS/Seedabutor.C. To delete temporary Internet files in Windows, you can use a utility like CCleaner. Alternatively, access the Control Panel, click the Network and Internet link, and click Internet Options. Then, on the General tabbed page of the Internet Properties dialog box, click the Delete button in the Browsing history section. To clear the Java cache, access the Control Panel, search for “Java Control Panel” and then click the Java Control Panel link. On the General tabbed page of the control panel, click the Settings button in the Temporary Internet Files section. Next click Delete Files in the Temporary Internet Files dialog box. Finally, click OK in the Delete Files and Applications dialog box. Once you’ve cleared the Java cache, use reputable anti-virus software that has been updated with the latest virus definitions to perform a full system scan. In addition to running anti-virus software, it’s important to use an effective anti-malware program to scan your system for malware that the Seedabutor virus may have downloaded. This program may also identify and quarantine Seedabutor files missed by anti-virus software. Some of the better software suites offer both virus and malware protection. For business owner that require additional help in protecting systems from all types of viruses and malware, local IT support firms such as PM&A can offer advice and the latest software solutions.